Scoliosis is a sideways curvature of the spine. This condition most commonly begins during the growth spurt period just before puberty. 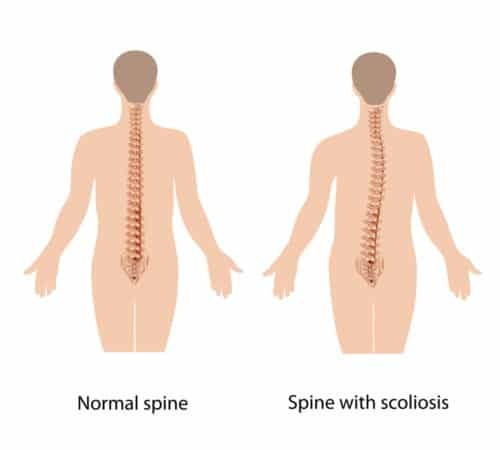 The cause of Scoliosis is largely unknown, but we do know that conditions such as cerebral palsy, and muscular dystrophy have been known to be underlying causes of Scoliosis. More times than not, scoliosis cases are mild, but some children may develop spine deformities that become worse as the child grows. In severe cases, scoliosis can be a disabling condition. This happens if the spinal curvature is severe enough to reduce the space within the chest, affecting lung function. It’s important to catch this condition in young children becuase it can be harder to spot in adulthood. In addition, the earlier you catch scoliosis, the higher the probability you can control the condition before it becomes too severe. even though there are several resources online to learn about scoliosis, you should visit a medical expert and receive a full examination if you have reason to believe you have scoliosis. Our team of doctors here at the Back and Neck Center of Brick are fully trained to diagnose and treat patients with scoliosis. To properly diagnose Scoliosis, your chiropractor may require x-rays, which can be performed on site at our Brick, NJ office. Your posture will be the first thing affected by scoliosis. Before you can even notice the curvature of the spine, you may notice the shoulders, waist, and hips out of alignment. These changes can be subtle, but at the same time, can cause damage and pain to the body. In most cases, scoliosis does not cause back pain until the condition has progressed and the curvature of the spine is such that it’s placing pressure on the nerves, causing lower back pain as well as weakness, numbness, or pain in lower extremities. Have you ever noticed that you feel fatigued while sitting or standing for too long? People with scoliosis battle with chronic fatigue on a daily basis. Due to the excess curve in the spine, the muscles in the surrounding area have to work much harder to maintain posture and keep the body aligned. In severe cases, the spine causes pressure in the rib cage, making it harder for the lungs to take in air, and harder for the heart to pump, draining the body of its energy. As a patient’s alignment changes, his or her clothes may start to appear asymmetrical. For example, if you start to notice one sleeve becoming too short, a pant leg doing the same, or a neckline isn’t centered, this is a strong indication that there is an alignment issue. Family history is worth examining. You have a higher chance of developing scoliosis if you have family members in the past or present who have suffered from the condition. Though genetics play a heavy role in predicting and treating health conditions, research shows that only 38 percent of scoliosis patients are genetically linked. If you feel that you’re showing symptoms of scoliosis, it’s important to seek professional help right away. An expert chiropractor will give you a full examination and recommend x-rays to confirm diagnosis. The team of doctors at the Back and Neck Center of Brick, have helped hundreds of patients live a more fulfilling life with less pain and discomfort due to scoliosis. 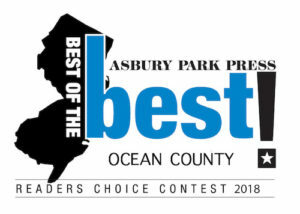 If you are in search for a chiropractor in Brick,NJ or anywhere else in Ocean County NJ, the Back and Neck Center of Brick can help. We have been helping patients in Brick, NJ for over 28 years.